Sprint parent company SoftBank is prepared to sell Sprint to T-Mobile parent company Deutsche Telekom, reviving a potential merger between the two companies, reports Reuters. According to unnamed sources that spoke to the site, SoftBank is reportedly frustrated with Sprint's growth in the United States and is ready to surrender control of the company and take a minority stake in T-Mobile. Back in 2013, before T-Mobile soared in popularity, the situation was reversed. Sprint was prepared to purchase T-Mobile in a deal said to be worth more than $20 billion, but Sprint abandoned its plans in 2014 amid regulatory scrutiny, deciding that it would be too difficult to win approval from regulators. At the time, U.S. antitrust officials reportedly told Sprint that having four national carriers in the United States was important to maintaining a competitive market. AT&T also once attempted to purchase T-Mobile, but that deal fell through too after being blocked by the Federal Communications Commission and the Department of Justice. Given T-Mobile's recent success, Deutsche Telekom is no longer interested in selling the company, leaving SoftBank to pursue another merger strategy. Sprint and T-Mobile will likely face the same regulatory scrutiny if a potential purchase deal is reached between the two. The two companies have not yet started to discuss a deal because of strict anti-collusion rules that are in place during an ongoing spectrum auction. The auction, which is being overseen by the FCC, ends on March 30, and negotiations are expected to begin at that time. Merging two bad networks sounds like a wonderful idea. My local T-Mobile network is great. Another comment from someone who isn't an customer. How about no? The past few years have shown how good it is that we've had lots of competition between wireless carriers. We need MORE competition, not less. The most recent example is everyone offering unlimited plans again right after Verizon decided to do so. T-Mobile is way better than you think. Maybe if they combine the companies, people would actually get coverage :). This may have been the case many years ago, but things have improved a lot with T-Mobile since. To their credit they invested the money from the failed AT&T acquisition into their network, plus picked up a bunch of 700 MHz spectrum. I've had them for a few years and have had good coverage traveling all over the country. I just hope a merger won't affect their competitive plans. Isn't Sprint CDMA whereas T-Mobile is GSM? Seems that this would only be an acquisition of customer base and the Sprint hardware would need to be phased out as customers migrate to GSM devices (or compatible) devices over time. I say go for it. I hope it goes through this time. Sprint is dying anyways and barely trying to survive against the other top 3. 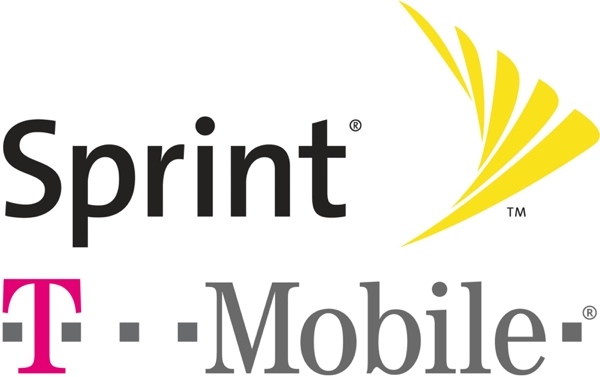 Maybe T-Mobile buying out Sprint will give Deutsche Telekom the edge to give AT&T and Verizon a run for their money. I hate Sprint, but this acquisition will increase T-Mobile's coverage.